The never-ending search for the most efficient battery (lightest weight, highest energy) has gone on since the batteries were initially developed. The LeClanche cell, lead acid and carbon zinc batteries sustained the portable electric world until the latter part of the 20th century. During this period the technology base of electronics began drastically expanding due to breakthroughs in microelectronics, software, digital systems, communications technology, and electric transportation. 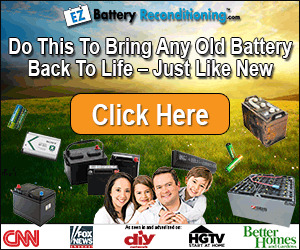 It seems that each year brings us the convenience of some new device that is battery powered. 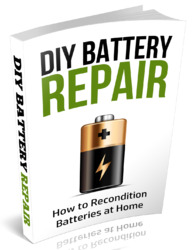 In the past 20 years the desire for a better battery has turned into a necessity. In the past 40 years this quest for the perfect battery has had amazing results. The development and refinement of many battery types such as the alkaline, silver zinc, lithium primary, nickel metal hydride, and lithium secondary systems has made tremendous progress. In addition to consumer types, many other systems are also evidence of intensified battery development efforts. These include, but are certainly not limited to, nickel hydrogen, magnesium silver chloride, zinc air, and several types of lithium and calcium based thermal systems, only to name a few. The search for the perfect battery has yielded hundreds of different types and sizes of batteries. These range from small consumer cells in the foreground to extremely large military batteries. This search however, is limited by certain restrictions. Among these restrictions, are the fundamental laws of physics and chemistry. One such rule is that each element (or compound) can only achieve its well defined maximum, positive or negative, electrical potential. Lithium and sodium, are the two lightest metals and also have the highest electrochemical potentials at 3.04 and 2.71V, respectively. This makes both appear to be great candidates as an anode material. Under this premise, much interest and emphasis was placed on the development and design of some of the earlier sodium sulfur batteries in military applications and electric vehicles. The sodium and sulfur couple was, in fact, very good but, in a practical battery, very poor. The downfall of the sodium based battery was the high heat generated (and necessary) for normal operation. The battery case breached in many situations releasing molten sodium and resulting in a flaming mass of burning metal. In a nutshell, sodium was found to be too reactive for any battery purpose other than very specialized low vibration, remote military applications. Throwing out sodium as the perfect anode, lithium is the next obvious choice. Thus the lithium generation of batteries was born. The military was in many ways the test bed for this high-energy lightweight electrical system. In primary (non-rechargeable) systems the lithium anode was tried with many cathodes including thionyl chloride, sulfur dioxide, manganese dioxide, carbon monofluoride, sulfuryl chloride, iron disulfide, as well as many that never made it into practical applications. Some of these proved successful and are still used today, many proved to be failures for one reason or another and development ceased. Along with the benefits of the light lithium metal come several disadvantages. One of the inescapable characteristics of elemental lithium is that it will react with air or water exothermically. The batteries also were found to react violently when heated too much, when charged, when pierced, when over discharged, or when short-circuited. The contents were sometimes violently reactive in air and water and generated highly flammable hydrogen gas. It was also found that the reason the lithium primaries could not be charged was based on the plating characteristics of the lithium metal. Indeed, it does not plate evenly and begins to form tiny spikes or dendrites. As the charge is continued, these dendrites can grow long enough to pierce the separator material causing a direct internal short. This pinpoint short is believed to create a tiny area of molten lithium which quickly spreads throughout the anode surface. There is a thermal runaway followed by venting (the battery over heats and ejects the inner cell contents, sometimes violently). This physical characteristic seemed to be an impasse for the development of a rechargeable lithium battery system. For over thirty years lithium primary batteries gained consumer and industrial awareness. They became well known for their performance in very diverse military applications. They gained a reputation for their long shelf life, constant voltage, wide operating temperature range, and low self-discharge characteristics. 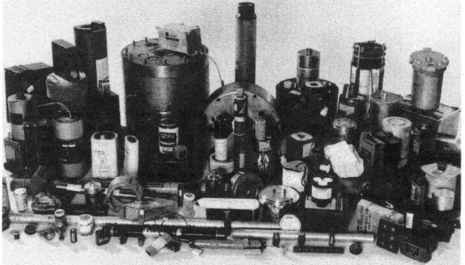 They provided the highest voltages for the longest duration at half of the weight of many other conventional systems. Unfortunately, these earlier primary batteries (especially the liquid cathode cells) also became known for their reactivity and obvious safety concerns. During the 90's came one of the biggest breakthroughs in rechargeable batteries since the development of the Nickel Cadmium: lithium ion batteries, with liquid or polymeric electrolytes, were developed. These lithium rechargeable batteries operate on the premise that the electrical potential of lithium metal is approached, but lithium metal is not present. Indeed, Li+ from one lithium compound in the anode is transferred to another lithium compound at specific sites on the cathode during discharge. The reverse occurs during charge but the adverse plating of the lithium metal does not occur because the lithium ion is not allowed to form lithium metal. There is only approximately 0.1 V difference between the fully charged battery voltage and the voltage necessary to plate lithium metal. If charging of the battery is continued beyond the fully charged voltage, Li+ begin to plate on the surface of the anode in metallic form and can result in venting similar to primary lithium batteries. It is for this reason that successful lithium rechargeable systems have charge control circuitry. Lithium batteries can be categorized into many types. Several of the most common types are listed below. This is not a complete list nor is it meant to be. Each type is unique in electrical and chemical characteristics. Each type also has special recycling techniques that must be considered. By over looking a difference in chemical composition, size, or reactivity, tragic environmental and safety concerns can be quickly realized. It is also necessary to understand the battery types to maximize an efficient and cost effective commercial business. Lithium batteries are not all the same, they are not an inert waste even if lithium is not in elemental form, and they require special packaging, storage, handling, processing, and personnel training.